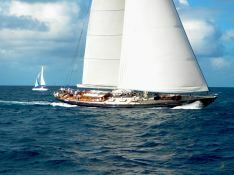 Shamoun is a classic yacht that has really raised the standards in terms of shipbuilding quality. 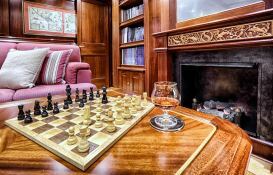 Shamoun was beautifully designed by combining proportionally classic mahogany and cream paneled interior, reinforced with chestnut floorboards. The salon is very spacious offering superb panoramic views. 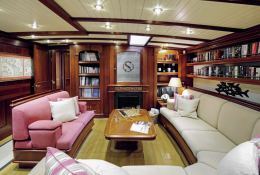 The main cabin is fitted as well with comfortable seating and a large table for lunch or dinner. 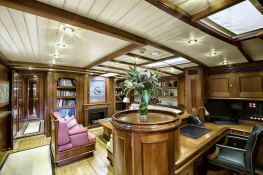 Shamoun, built in 1999 by Jachtwerf Klaassen, and refitted in 2008, is a marvellous 33.05M sailing luxury yacht which welcomes up to 8 guests on board with a crew of 5, and reaches a cruising speed of 10.0 knots to explore the best spots on the planet. 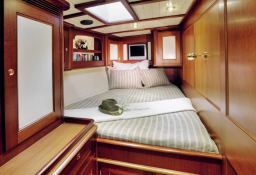 She is available for charter around the Indonesia, Malaysia, Singapore and Thailand. 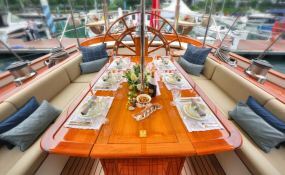 For a wonderful luxury charter experience, Shamoun is equipped with air conditioning, generator and also fishing equipment, scuba gear, wakeboard, waterski, DVD and home cinema. 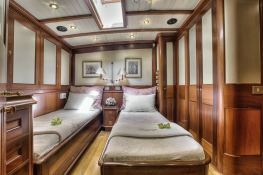 Shamoun is available for yacht charter with a base price of 51 500 € (approximatly 58 079 $). 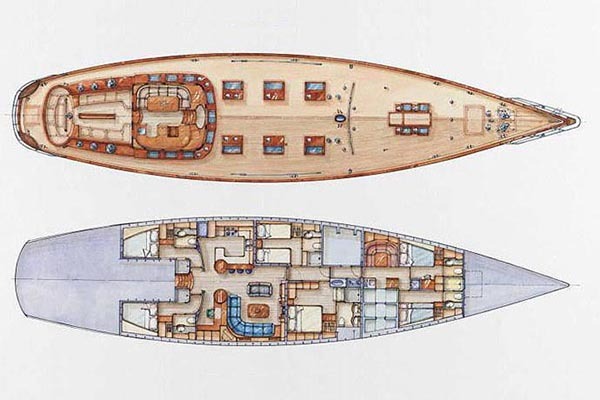 boat Shamoun yacht charter reviews : 4 out of 5 based on 1 rating. 1 user reviews. SHAMOUN JACHTWERF was quite a special and, for sure, an unforgettable experience. We loved it. Our luxury yacht charter went very well.